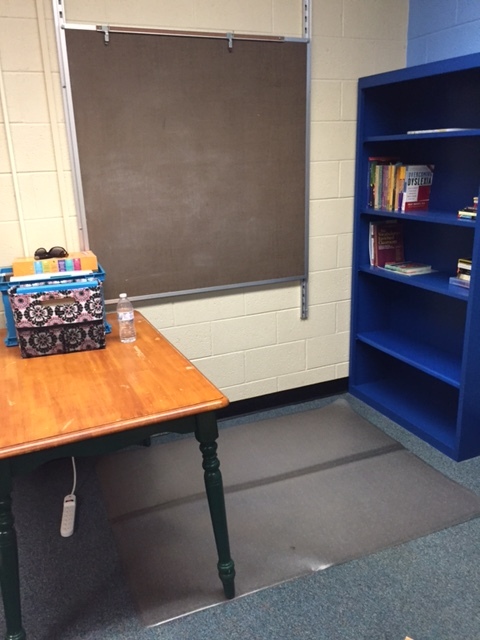 Day one as an instructional coach has come and gone. The prospect of doing this job is pretty overwhelming, maybe like all educational jobs…I mean, really, is there an easy job in ed? I can’t think of one — nature of the beast, I guess. If you’re ranking overwhelming things, first days rank at the top, and of course, first days never go as the little video loop in your imagination plays them out before hand, but all things considered, it was a pretty decent day. Tiring, but I wasn’t a disaster, and in my book, not-a-disaster is a good start!. The day started with our countywide meeting. Yes, you read that correctly, countywide. I live and teach in a rural district on Maryland’s Eastern Shore – think crabs, corn, and country – so we are small enough that we can fit our teaching staff, principals, supervisors, and board of education members in one of the high school auditoriums. So, we all get to sit together on the first day back, as one, and hear from our teacher of the year, the leaders of various associations, our board president, our assistant superintendents, and, of course, our superintendent. We have a new one this year, so it was refreshing to hear his introductory speech, which was an enjoyable blend of personal history, professional philosophy, with a sprinkling of county goals thrown in but nothing too heavy-handed out of the Tony Robbins Course for Unleashing the Giants of Unlimited Educational Power (pleasant surprise!). 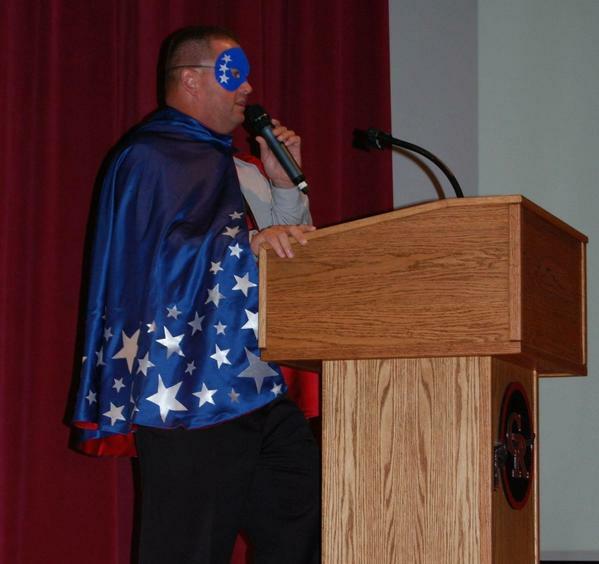 But the highlight came at the end when our Assistant Superintendent, who served as interim superintendent (superbly) last year during our superintendent search, donned a Captain Obvious cape and mask… and let’s face it… my imagination would just never conjure up that image for the first day back. After lunch and a heart-swelling-with-pride visit to my former student teacher’s very own first classroom, it was back to the school to kick off things there. My principal started off with introductions of new personnel. Since time is always at a premium during teacher work days, I had asked if I could sneak in my presentation on my new position during this time, and that brings me to the heart of this post. Since finding out at the end of last year I would be in a coaching role, I have scoured the Internet for articles, websites, and blogs on “How to Be an Instructional Coach.” This, along with getting married, is how I spent my summer. And I have to say, I have found loads of really helpful information from the blogs of Elena Aguilar, Ms. Houser, and Jim Knight. I am so thankful for these folks taking the time to share their expertise and resources so openly! Good ‘ole Twitter has been a lifesaver as my PLN. Too many articles on leadership, best practices, and emerging tech trends to mention. But the piece of advice I was most inspired to put into action was to clarify for staff what my position is and what it isn’t. So, I put together a little PowerPoint ( Guide to Instructional Coaching at LMS 20) doing just that and explaining a few goals I have, who I’m aiming to work with (mainly ELA, but everyone who’s open to growing), and how to get in line for coaching – namely fill out a Google form. The presentation was brief; I probably spoke too fast because I was feeling nervous about taking up too much of people’s time when I know they have so many other things to do, but I think I hit all the highlights and got my message across. Later, after dealing with scheduling issues, trying to help a couple of new teachers get a handle on their curriculum, and trying to figure out why there was no record of a site license we had purchased, I got back to my classroom, ahem, I mean, office (that’s going to take some getting used to), and I checked my Google form and sure enough, I had a response from someone seeking some guidance with planning. Day one. Not a disaster.